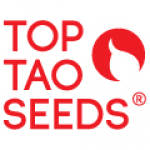 Top Tao Seeds started supplying seeds to the cannabis market back in 2000. Starting small was always the best way to go for this medically focussed supplier from the Czech Republic, so that they could show their skills and create the strains that really matter, while developing a name that means something. For a truly inspirational hybrid, check out their CBD Haze Auto for powerful, effective seeds that are easy to grow. Or when you want lots of high quality purp in double quick time, opt for the award winning Tao Purple seeds that will leave you amazed.